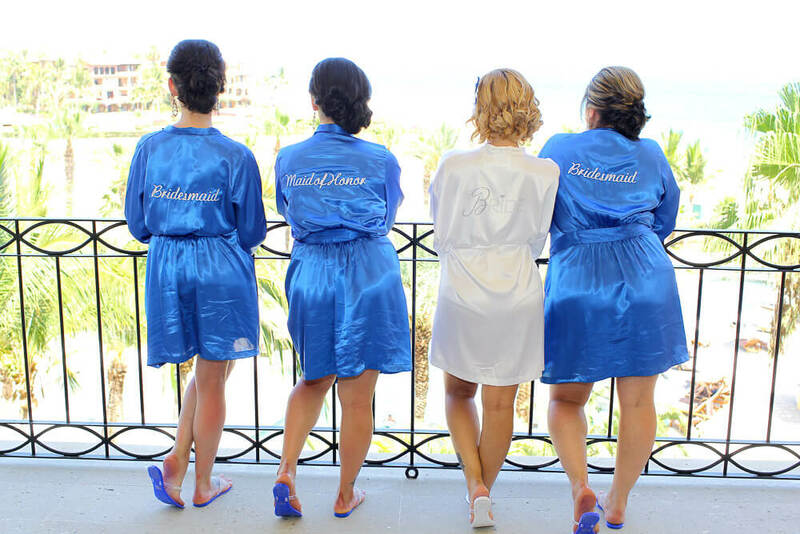 Bride Tania pulled out all the stops for her May 2014 destination wedding at Dreams Los Cabos! 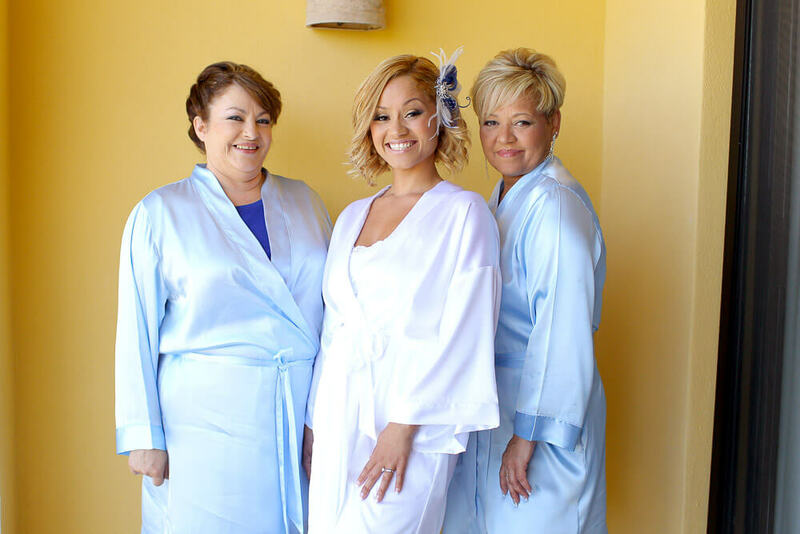 We got the opportunity to style Tania’s entire bridal party, as well as the mothers of the bride and groom, and the fabulous pictures show just how perfect this group looked for the royal blue and silver wedding day! 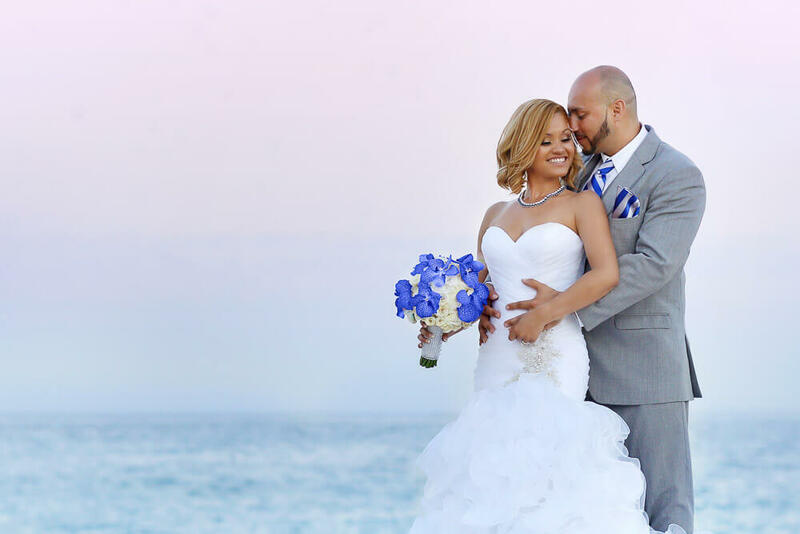 We must thank you, Tania, for trusting us with the most special day of your life. All our best to you and Raul! We’re very happy to have been a part of such a fantastic wedding with décor by Linens, Things and More… and flowers by Cabo Floral Studio! 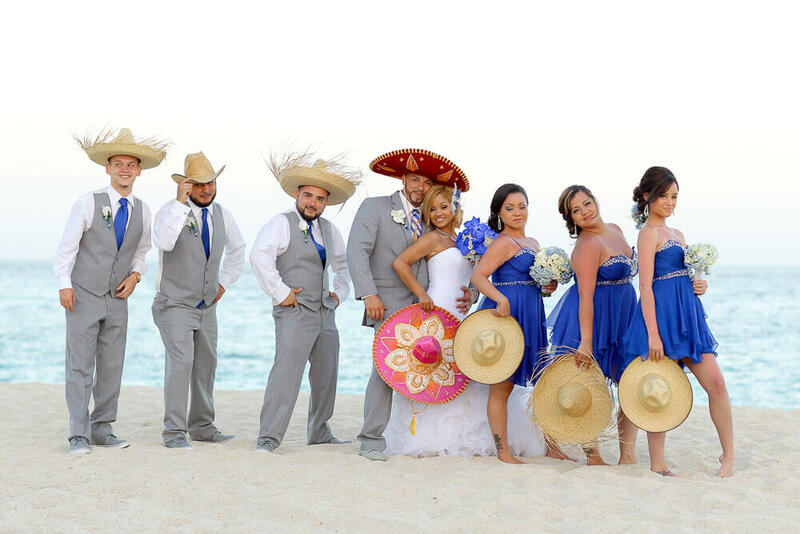 This entry was posted in Blog and tagged beach wedding hair, beach wedding makeup, blue and silver wedding, bridal hair and makeup in Los Cabos, bridal party makeup Los Cabos, Cabo bridal hair and makeup, Cabo Destination Wedding, Cabo wedding hair, Cabo wedding makeup, Dreams Resort Los Cabos wedding, feather wedding hairpiece, glamorous wedding makeup, Mexican wedding, Mexico destination wedding, short wedding hair, wedding updo.